GPS and accelerometer are optional factory fitted features of the VIDEO4 and have been specified at the time of ordering. A new optional feature of the VIDEO4 is built in GPS and accelerometer. The GPS system is used for track mapping and speeds, the accelerometer is used to measure grip levels and braking points. With these included it makes it possible to use the system box a �single box� video/data system. An external data logger can still be connected, as well as ECU interfaces, CAN adapters etc to increase the amount of data that is available. To use the built in GPS receiver, it is required to attach the GPS antenna to the rear of the VIDEO4 unit. Please follow all the normal guidelines when installing the GPS antenna, these are described here. To use the accelerometer, the VIDEO4 must be mounted correctly in the car � that means that is must be mounted square and flat in the vehicle with the memory card and start/stop button pointing towards the rear of the car. 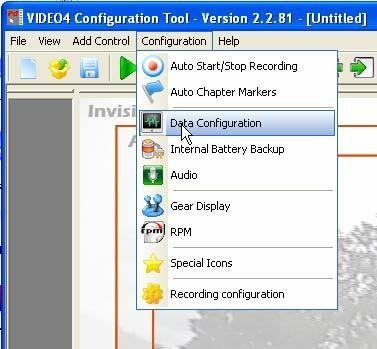 If it is not practical to mount the VIDEO4 flat/level/square in the car then you can use the car setup options in the analysis software to correct offsets and different orientations, however the accelerations that are displayed on the live video overlay will be incorrect. 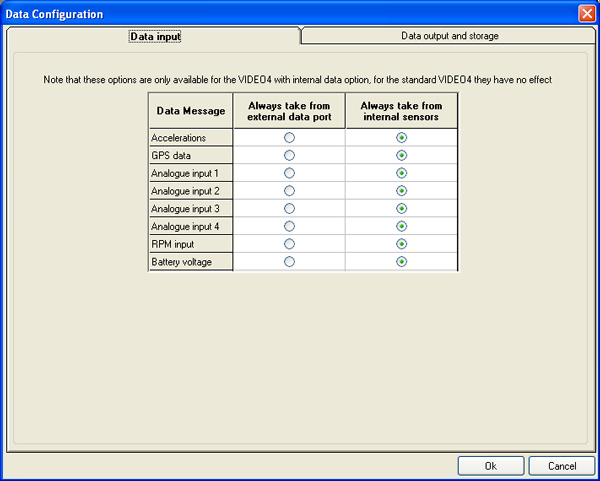 Details about using alternative accelerometer setups in the analysis software are included here. The analogue inputs are mapped to analogue inputs 20, 21, 22 and 23. This is to maximise compatibility when using these analogue inputs with another datalogger and/or dashboard.